On an impromptu trip to the south of the island yesterday, I found myself reading a memorial stone to the Battle of Ronaldsway, an important event in the history of the Isle of Man which I realised I knew nothing about apart from the fact that it happened. As a historical novelist, I spend huge amounts of time on research, and have a wealth of facts about the history of the Peninsular War or sixteenth century Scotland at my fingertips, but recently I’ve been feeling slightly embarrassed at how little I know about the history of the island which has been my home for the past fifteen years. I’ve become conscious of this because, for the first time, I’m researching a novel which is partly set on the island and features a Manx hero. For the past month I’ve been sitting at home going slightly mad with cabin fever owing to a broken foot. Yesterday, on a brilliantly sunny although slightly cold Sunday afternoon, I decided I’d had enough of it. I’ve reached the point in plotting the new book where I need to start researching seriously and on Friday I paid my first visit to the library at the Manx Museum in Douglas. Yesterday I persuaded my long suffering sixteen year old daughter to abandon her sofa and her book and come with me to investigate Derbyhaven, since my hero, returning to the island after serving in the navy, would have sailed into the harbour there on the weekly packet. I’ve been to Derbyhaven and Langness before, although oddly enough not as often as I should have been. Adjacent to the airport, it’s an area which really required two sound feet for a proper exploration, but we managed a drive, with frequent stops for photographs and to gaze at the amazing light over the sea. I also managed to almost kill myself trying to walk up to the old chapel on St Michael’s Isle. I didn’t make it as far as Derby Fort, I’ll need to go back when I’m a bit steadier on my feet. 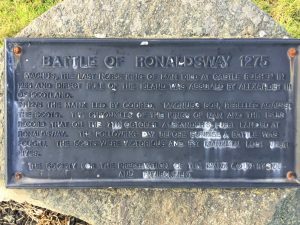 But driving along the coast road, admiring the views, I stopped to read the memorial stone and wondered for the first time what on earth the Battle of Ronaldsway was all about. The Battle of Ronaldsway took place in 1275 and ended in the defeat of the last Norse King of Mann on the area near Castletown.The Vikings arrived in the Isle of Man between AD 800 and 815. Initially they came chiefly for plunder but from 850 onwards they began to settle. The island was under the rule of the Scandinavian Kings of Dublin at first but between 990 and 1079 it was subject to the Earls of Orkney. Little is known about the conqueror, Godred Crovan. According to the Chronicles of Mann he subdued Dublin, and a great part of Leinster, and kept the Scots under control. In Manx legend he is known as King Orry or King Gorse and he created the Kingdom of Mann and the Isles which included the south-western islands of Scotland until 1164 when two separate kingdoms were formed. The islands which were under his rule were known as the South Isles, consisting of the Hebrides and all the smaller western islands of Scotland, along with Mann. His successors took the title of King of Mann and the Isles and the capital was on St Patrick’s Isle, current site of Peel Castle. Godred’s son, Olef maintained a close alliance with the Kings of Ireland and Scotland which kept the Isles safe during his reign. Olef’s son, another Godred, who reigned from 1153 to 1158 also took control of Dublin for a short period but lost the smaller islands off the coast of Argyll as a result of a quarrel with Somerled, the ruler of Argyll. During the whole of the Scandinavian period, the Isles remained nominally under the suzerainty of the Kings of Norway, but the Norwegians only occasionally made any attempt to assume control. The first such king to assert control over the region was Magnus Barelegs, at the turn of the 12th century and the second was Hakon Hakonarson who came to the Isles in 1263. Norway was suffering from internal dissent and generally left the Isle of Mann alone. After 1217 however there was growing conflict with the Kingdom of Scotland. In 1261, Alexander III of Scotland sent envoys to Norway to negotiate for the cession of the isles, with no success. He initiated a war, which ended in the indecisive Battle of Largs against the Norwegian fleet in 1263. The Norwegian king Haakon Haakonsson died the following winter, which allowed King Alexander to bring the war to a successful conclusion. Magnus Olafsson, King of Mann and the Isles, who had campaigned on the Norwegian side, had to surrender all the islands over which he had ruled, except Mann, for which he did homage. Two years later Magnus died and in 1266 King Magnus VI of Norway ceded the islands, including Mann, to Scotland in the Treaty of Perth for 4,000 marks and an annuity of 100 marks. The reality of Scotland’s rule over Mann, however, did not become established until 1275 at the Battle of Ronaldsway. Today, Ronaldsway is best known as the airport of the Isle of Man, and the battle took place on some of the area now covered by the runways in the southern part of the island. The Scottish army crushed the final attempt by the Manx to re-establish the Norse dynasty. The battle resulted in the death of the last Norse King of Mann, Godred Magnusson, and the remainder of the Manx royal family fled to Norway. It led to the firm establishment of Scottish rule on the Isle of Man. Godred and his Manxmen rejected the terms and battle was joined before sunrise on the following day, 8 October. The Manxmen were routed and suffered heavy casualties, which probably included Godred, thus ending the male line of the Manx Norse dynasty. One theory suggested that Godred survived and fled to Wales, but there seems no evidence of this. With the death of Godred, the Isle of Man came under Scottish rule. This lasted at least until the death of Alexander III in 1285, as it was listed among Alexander’s heir Margaret, Maid of Norway’s future possessions in 1284. 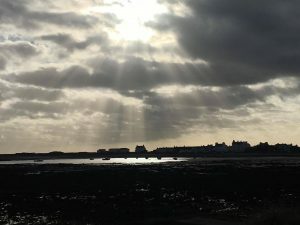 The Island did not, however, remain in Scottish hands beyond September 1290, when Edward I of England issued decrees to the Manxmen as their ruler. Thereafter England and Scotland struggled for control of the island until 1333, when Edward III of England renounced all English claims over the Isle of Man and recognised William Montacute, 1st Earl of Salisbury as King of Mann. English rule was reinstituted in 1399, the title of King of Mann changed to Lord of Mann in 1504, and from 1765 the title was purchased by the Crown of Great Britain. In 1936 an eastwards expansion of Ronaldsway Aerodrome dug through a number of small rises near the airfield to provide soil for the levelling of the ground to the east. When workers began digging into one rise on the south side of the airfield they came upon numerous ancient graves. To the north east of the main area of graves a large number of skeletons were found thrown together in a disorderly manner. It was believed the collection of skeletons might be a mass grave of soldiers who fell at the Battle of Ronaldsway. The Battle of Ronaldsway has nothing at all to do with my nineteenth century Manx hero. Reading about it yesterday while resting my poor sore foot after such a great afternoon out, though, reminded me why days like that are often so successful. I will probably never write a novel based around the Battle of Ronaldsway. But I do know more now, about the distant past of the island, and when I can find the right book I’d like to learn more about the Vikings of Mann. I’ve already decided that I’m due another visit to the amazing House of Mannanan museum in Peel, a place I’ve not visited since my kids were young. Sometimes it’s very easy to get swept up in the big stories of history and to forget the lesser known but often fascinating events which took place right on our doorstep. For regular updates on this site including history, travel, book reviews and plenty of labradors (and a few freebies thrown in) please join the e-mail list here. In describing the Sharpe books by Bernard Cornwell as my elephant in the room, I’m very definitely not being serious. These novels are a lot bigger than an elephant. 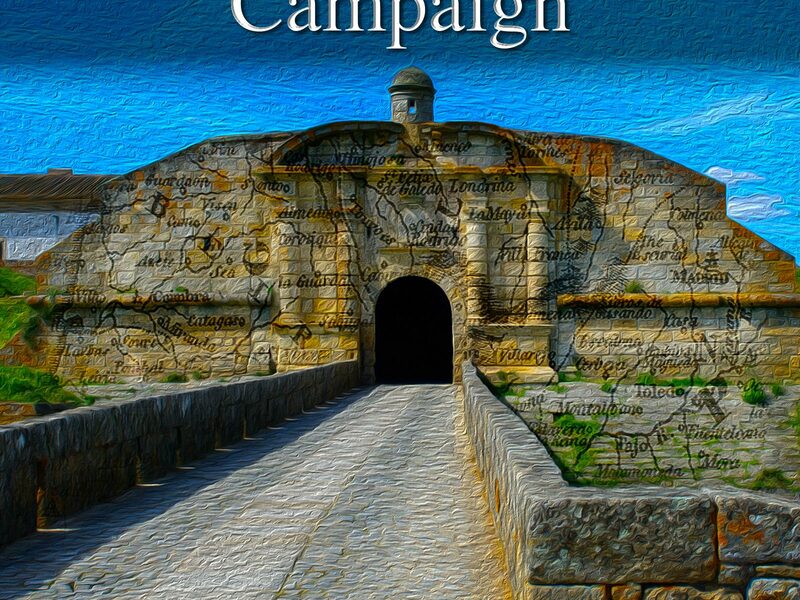 During the course of this year I have independently published the first four books of my Peninsular War Saga on Amazon, and before I did that I was already nervous about them being compared to the Sharpe novels, since those, for most people, are the gold standard of novels describing Wellington’s war in Portugal and Spain in the early nineteenth century. Authors like C S Forester, Patrick O’Brian, Alexander Kent and Dudley Pope have depicted the navy in impressive detail, and in recent years, Cornwell has been joined by authors such as Adrian Goldsworthy and Iain Gale. But Bernard Cornwell’s Sharpe remains the character that most people remember from popular fiction when they think of the Peninsular War. In part, of course, this has a lot to do with the classic TV adaptations starring Sean Bean which aired between 1993 and 2008, based loosely on the books. But Cornwell’s books, with their meticulous research and brilliant battle descriptions are enduringly popular in their own right, and for a new writer, the thought of being compared to a writer who has already done something so extraordinarily well, is extremely daunting and definitely unavoidable. Did you get the idea for your books from reading or watching Sharpe? The lead character in my books is called Paul van Daan, and he came into being very early on in my writing career. I’ve always been obsessed with history, studied at school and then at university. I’ve always read a lot, especially historical novels, and I started to write my own as a teenager. They were dreadful and I destroyed them many years ago. The first full length book I wrote was set in South Africa in the nineteenth century. It was a period I’d studied and was fascinated by, especially given the political situation at the time with apartheid. I read everything I could about how South Africa came to be the way it was, and I wrote a novel based around the early conflict between Boer and British which led to the Great Trek. My leading character was a Boer who had lost family at Blood River, but who for various reasons found himself being educated and raised as an Englishman, with all the ensuing conflict. The young officer’s name was Paul van Daan. Over the years I wrote a lot of other stories and novels, most unfinished. I made a few efforts at getting published, but it became obvious very early on that I was going to get nowhere with my South African novel. The political climate became increasingly sensitive, and it was obvious that a white, English working class female was not the right person to publish a novel set in nineteenth century South Africa with all it’s complicated racial politics. Paul and his story were abandoned in favour of other things. A few years ago, with my children growing up, I decided to give writing another go and I worked on several other projects, while re-reading my earlier efforts. Most of them were unceremoniously dumped at that point, but something about this novel stayed with me although I had no intention of going back to it. After a lot of thought, I realised that it was the characters that I liked. Paul van Daan was a soldier, not particularly easy but to me, very appealing. Carl, Johnny and Michael were all a part of that early book. So was Anne. Paul’s first wife was Dutch and was named Renata. Of all of them, her character probably changed the most. Renata was something of a mouse, while I really like Rowena. But I was surprised overall at how happy I was with this little group of people even though I wasn’t that happy at where they were living. But it occurred to me suddenly that I didn’t need to be wedded to one particular location or time period. For a while, I pretended not to think about Sharpe, but it didn’t bother me anyway since I didn’t really think I’d ever get far enough to publish the books. Is your lead character like Richard Sharpe? Richard Sharpe was a lad from a poor background who joined the army and managed, through talent, courage and a lot of luck to get himself an officer’s commission at a time when most commissions were purchased. He was a good soldier and a good leader but he struggled to fit in because of his background. Every promotion was a fight for him and he had to be better than all the others to achieve them. Paul van Daan, in contrast, was born with the proverbial silver spoon. His father made his money through trade, his mother was English aristocracy and he went to Eton and Oxford. He’s arrogant, clever and always knows best and he has enough money to buy his way to the top. If he’d been around after Talavera, he would have been the man Josefina ran off with because he could have afforded her. Richard Sharpe would have hated him on sight. Looking a bit closer, however, maybe not. Paul van Daan has one or two odd things in common with Sharpe. One of them is a very pretty set of stripes across his back. Sharpe got his during his early days in the army; Paul got his in the Royal Navy. After he got thrown out of Eton for a long list of bad behaviour which culminated in him throwing the Greek master into a fountain, his father sent him to sea as a midshipman on one of his trading vessels to make a man of him. The ship was wrecked and only one lifeboat made it to shore on Antigua where the men were scooped up by a press gang desperate for experienced sailors. Nobody believed Paul’s story about his wealthy background, or perhaps they just didn’t care that much; they were desperate for men. At fifteen, Paul fought at the Battle of the Nile under Nelson and earned himself a promotion to petty officer before he managed to get word to his father who secured his release. Two years below decks gave Paul van Daan a slightly eccentric outlook for a young gentleman which he took into the army with him a few years later. Sharpe might have hated him on sight, but I’d pretty much guarantee that after their first battle together, they’d have been getting happily drunk together. Paul’s friendships aren’t always popular with the army establishment. He’s on equally good terms with the son of an Earl and his cockney sergeant. He’s not in the Rifles, but he is a light infantry officer. After a lot of thought I invented a completely new regiment or two for my books and expanded the light division to accommodate them. There is an Irish sergeant although he doesn’t resemble Patrick Harper very much since he’s an educated man who joined the ranks to hide after a failed rebellion in Ireland. And Wellington? Paul is close to him in a way that Sharpe could never have been. Partly that’s because of his background; Wellington was a snob. Almost as important, though, is the fact that Paul has the thickest skin in the British army and doesn’t care how much his chief yells at him, which is probably a pleasant change for Wellington who tended to upset more sensitive souls. The only things Paul gets upset about are arseholes saying the wrong thing about his wife and any general whose incompetence puts his men at risk. And what about the women? If I liked Sharpe, will I enjoy your books? I’ve got no idea. Try one and if you like it, read the others. A friend who read them suggested a tagline of Sharpe for Girls. I don’t see it myself, since I know so many women who loved the Sharpe books, but I suspect that one of the biggest differences in style is that although Paul is the main character, once Anne comes on the scene she gets equal treatment a lot of the time. She isn’t really a girl to be sitting around looking pretty and she spends a fair bit of her time in the surgeons tents covered in gore. When she’s not doing that, she’s organising the quartermaster and bullying the commissariat, taking time out to flirt outrageously with the commander-in-chief and generally shocking the ladies of headquarters during winter quarters. Both men and women seem to be reading and enjoying the books. I’ve recently changed the covers; the first cover was very much a ‘romantic novel’ look and I didn’t think it reflected the books very well. The new covers have definitely improved sales, and I’ve had a couple of very good reviews from men. How would you describe the books? Not as a Sharpe copy. I can’t describe what I’ve written so I’m going to quote a couple of reviews. I’ve had two bad reviews for these books out of a fair few excellent ones. One of them complains that the book is too like Sharpe and it’s the reason, to be honest, that I’m writing this post, because it made me think about it. When I write about a particular campaign, my first thought is always, where were my regiment and what was their role in it. When I read that review, I admit to a bit of a panic. I couldn’t remember anything about Sharpe’s role in Massena’s 1811 retreat and I was worried that I’d accidentally copied Cornwell’s treatment of that. I needn’t have worried, Sharpe wasn’t even involved in that campaign, he was off at Barossa. Just as well actually, he’d have killed Erskine stone dead. My lad came close. When I looked again at the review I realised he’d given equally unfavourable reviews to other authors who had written books about this period, some of them well-known. I’m taking the view that for this particular reviewer, if you’re not Cornwell you shouldn’t be writing about this. Nothing I can do about that. The other review was a lot more detailed and it was from a lady who seemed to object to the romance in the novel which she complained was too much of a contrast to the unpleasant descriptions of war. I couldn’t establish which she wanted more or less of. The rest of my reviews have been great and I’m so grateful to the people who have read the books, enjoyed them and taken the trouble to write a review. Even a couple of lines is a big boost. A few of them mention Sharpe. Every time I see it, I feel very honoured at being mentioned in the same sentence as Bernard Cornwell, since I’ve been reading and loving his books for twenty years now. I’m also completely terrified because I don’t want to let people down by not being as good. During the years I’ve been working on these books I’ve done an unbelievable amount of research. I’ve learned facts about Wellington’s army that I never thought I’d have reason to know. I’ve also talked to some great people who are as passionate about the period as I am and that’s one of the things I love most about doing this. The organisation of Wellington’s Peninsular Army can be split into three main areas; ranks of officers and men, the structure of the army and the support services. 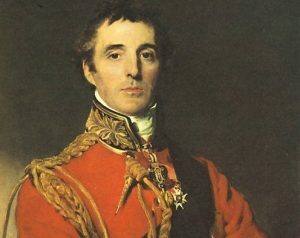 Sir Arthur Wellesley arrived in Portugal in 1808 but did not take full command of the army until the following year. Morale was poor and most officers believed that Wellesley would be lucky to hold Lisbon, let alone the rest of Portugal. Wellesley himself seems always to have intended a more aggressive policy although he did not necessarily always share his intentions with the politicians in London. After a resounding success at Oporto and a victory, albeit a difficult one, at Talavera, Wellington embarked on a reorganisation of the army into divisions. The ranks listed below show the traditional command structure of the army. In practice, during the war, commands and ranks were very flexible. 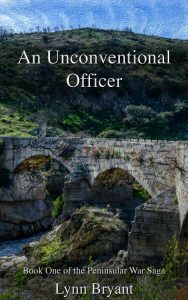 It was not unusual for a Lieutenant to be found commanding a company or a Major in charge of a battalion. Regiments were often commanded by Lieutenant-colonels if their Regimental Colonel was not in the field. Officers acquired their commissions by purchase, and theoretically all promotions were also purchased up to the rank of colonel. During the war, however, the large number of officers killed meant that many promotions were given without purchase – less than one in five first commissions were purchased. In some regiments it was possible to advance quite quickly without needing to pay for a commission and a sympathetic regimental colonel could often help talented young officers up the ranks. It was unusual for NCOs to be given a commission but it did sometimes happen, usually for `acts of specific courage in the field. Because of the class distinctions of the day – officers were supposed to be ‘gentlemen’ it could be difficult for an enlisted man to fit in once he attained his commission. The exception to this was in the case of ‘gentlemen volunteers’. These were men of good birth who could not afford a commission so joined the ranks. They trained and fought with the enlisted men but messed and socialised with the officers until a commission without purchase became available. The Peninsular Army was structured as shown below. As with the ranks listed above, there was a lot of variety in numbers and commands. Most regiments were permanently under strength due to death, injury and sickness so the numbers below are very general and would have varied widely between different regiments and at different stages of the war. The structure below is that of the infantry; cavalry was organised slightly differently. Each company consisted of around 100 men. It was commanded by a Captain with two lieutenants and two ensigns. There were two sergeants per company and three corporals. Each battalion consisted of 10 companies; 8 infantry companies, a company of guards and a light company. The guards tended to be used for main assaults, they recruited big men and their job was to stand firm. The light company were skirmishers; fast, agile and smart with the capacity to think independently. Battalions also had their own Regimental Sergeant-Major who had overall charge of discipline. Most regiments consisted of two battalions although some had three or more, particularly the Rifles. It was unusual for both battalions of a regiment to be serving in the same army although it did happen, once again most notably with the Rifles. Usually the second battalion was either serving elsewhere, or back in barracks providing reinforcements to the first battalion in the field. Confusingly, both officers and men often referred to their battalion as their regiment so that the two terms can be used interchangeably at times. Each regiment had a Colonel in Chief who might have been serving in the field but was often more of a figurehead, with the actual command being left to a lieutenant colonel. Each regiment usually had a Regimental Sergeant Major in charge of each battalion. Two to four regiments / battalions comprised a brigade, which was presided over by a brigade commander. The actual term Brigadier was not often used. A brigade commander could be a colonel or lieutenant colonel, usually of one of the regiments included in the brigade. A division consisted of two to four brigades, usually between 5,000 and 15,000 men with 10,000 being fairly normal. Divisional commanders could be Major Generals or Lieutenant Generals. Wellington had seven divisions and added an eighth in 1811. The light division was generally the smallest. In my Peninsular War saga, Paul van Daan joined the 110th in 1802 at the age of 21. He was slightly older than most new officers and will have joined as an ensign but purchased immediately on to lieutenant. This practice was not officially allowed, but often happened with men who could afford it if commissions were available and the regimental colonel agreed. His first promotion was given in the field and he was fairly young for it although it was not unheard of. After that his rise was fast; he could afford it and he was talented, but he never rose as quickly as Wellington had before him. Wellington was an ensign at 18 and a lieutenant, like Paul, almost immediately afterwards. He was a Captain at 22, also like Paul but gained his majority at only 24 and was a Colonel by the time he was 27 while Paul was thirty. Unlike Wellington, Paul was in combat for most of the time, however, which made subsequent promotions easier. Regiments and battalions had their own quarter-masters, who were in charge of provisions and supplies for the regiment. Wellington had a relatively small headquarters staff and worked them hard. The medical services were under the control of the army medical board in London, and the commissariat which was responsible for supplying the army was also a separate body, a situation which caused a good deal of problems for the commander in chief. In reality, how each section of the army was run tended to be very much down to local circumstances. Commanding officers varied considerably in their attitudes to discipline and etiquette, and each regiment developed it’s own customs and traditions within the army regulations. Army headquarters in London was known as Horse Guards and was situated in Whitehall. There are a lot of good sites on the internet which go into considerable detail about the organisation of the Peninsular Army. A very clear account of it is given in Stuart Reid’s Wellington’s Army in the Peninsula published by Osprey which is available on Amazon. The Anglo-Spanish War of 1796 began 221 years ago today when Spain declared war on Britain during the French Revolutionary and Napoleonic Wars. With a brief hiatus between 1802 and 1804 the conflict lasted until 1808 when France turned on her former ally and invaded Spain, bringing about an alliance between the United Kingdom and Spain. Spain had originally been part of the first coalition against the newly formed French republic which aimed to restore the Bourbon Monarchy. General Antonio Ricardos who led the Spanish forces had some initial successes but failed to achieve a decisive victory. Elsewhere French forces overran the Austrian Netherlands and the Dutch Republic and the Spanish were struggling. Their navy combined with the British at the Siege of Toulon but otherwise achieved very little. In November 1794 the Spanish-Portuguese army was heavily defeated at the Battle of the Black Mountain and the French were in the ascendent. In 1795 the Peace of Basel was signed, obliging Spain and Prussia to leave the Coalition. The following year, after French successes in the Rhine Campaign and Italian Campaign Spain signed the Second Treaty of San Ildefonso, establishing a Franco-Spanish alliance against Great Britain. Spanish leaders hoped that French victories would bring advantages of both territory and money to Spain. From the start the war drained Spanish revenue, with the British blockade reducing the amount of wealth arriving from the colonies. A Spanish fleet consisting of 27 ships of the line planned to link with the French and protect coveys of valuable goods. The British Mediterranean fleet had only 15 ships of the line and was heavily outnumbered, forcing them to retreat from Corsica and Elba by 1797. 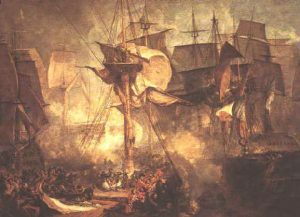 The Treaty of Amiens in 1802 brought a temporary break in hostilities until 1804, when the war recommenced and the British captured a Spanish squadron of frigates carrying gold bullion to Cádiz. The French intended an invasion of Britain in the coming year and planned to use the Spanish fleet in the campaign. In 1805, a combined Franco-Spanish fleet, attempting to join forces with the French northern fleets ready for the invasion was attacked by a British fleet and lost in the decisive Battle of Trafalgar. 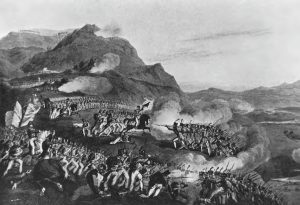 The British victory ended the immediate threat of an invasion of Britain by Napoleon and raised serious doubts in Godoy’s Spanish government as to the wisdom of the alliance with Napoleon. 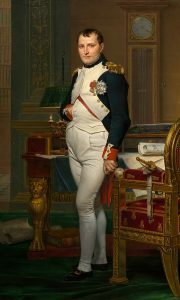 Godoy withdrew from the Continental System which Napoleon had set up to blockade Europe from British trade but joined it again in 1807, after Napoleon had defeated the Prussians. 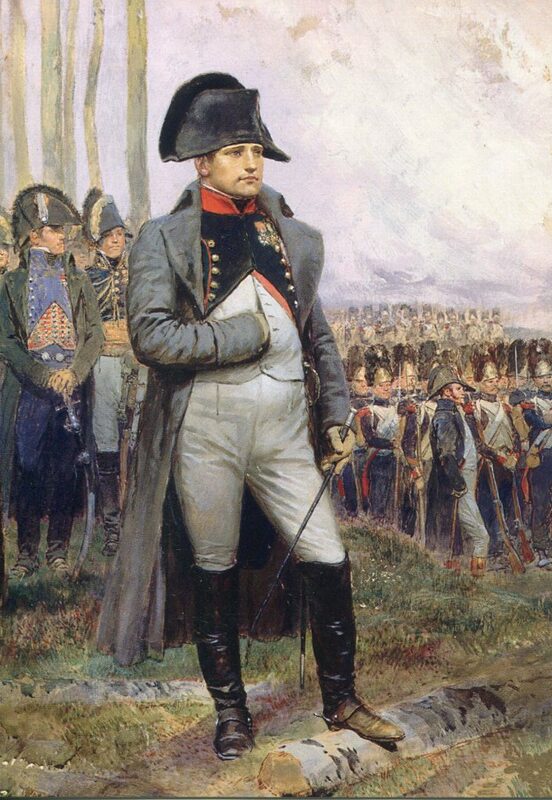 Napoleon had lost faith in Godoy and King Charles. There was growing support in Spain for the king’s son, Ferdinand, who opposed unpopular Godoy. Ferdinand, however, favoured an alliance with Britain, and Napoleon did not trust any Bourbon royalty. The breakdown of the alliance between France and Spain, and France’s invasion of Portugal was the opportunity for Britain to mount a land offensive in Europe. 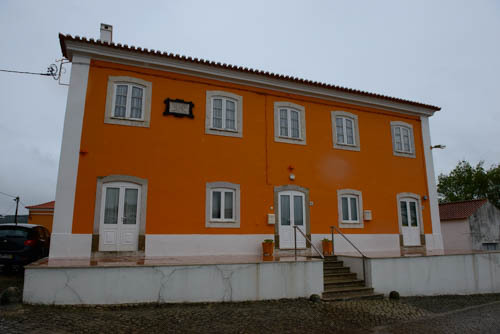 The army which landed in Portugal in 1808 was not large and very little was expected of it, but the significant victories at Rolica and Vimeiro under Sir Arthur Wellesley were a portent for the breakdown of the alliance between France and Spain, and France’s invasion of Portugal was the opportunity for Britain to mount a land offensive in Europe. The action in An Unconventional Officer spans the initial invasion of Portugal although the battles are mentioned rather than described in detail. 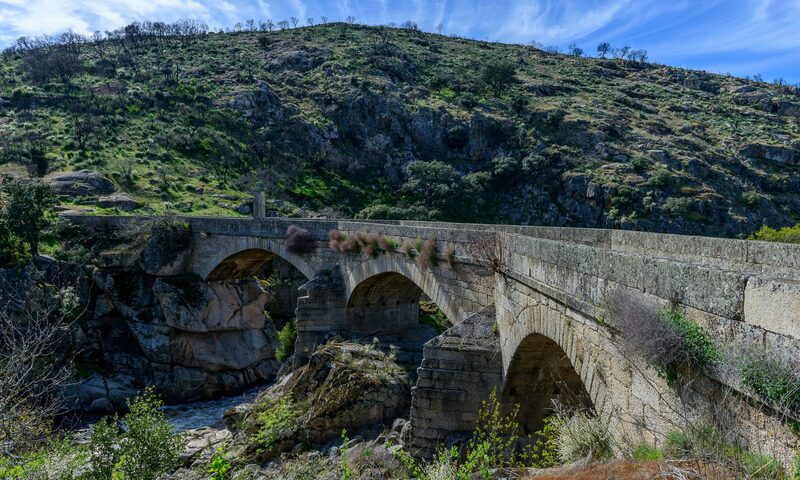 The previous history between Britain and Spain is very important, as letters and accounts written by the British in Portugal at the time often suggest a lack of sympathy for the Spanish, who had so recently been allied to France. It would take time before Wellington and his officers began to appreciate the ferocious guerrilla war which the Spanish waged on Napoleon’s armies; a war which often tied down large numbers of French troops and prevented them from a concerted attack on Wellington’s army. Initially, Wellington found it easier to work with the Portuguese army. By 1812 when he defeated the French at Salamanca, Wellington had already formed a cautious respect for some of the Spanish leaders, in particular Don Julian Sanchez. At the end of the war he was ready to acknowledge that he could not have won the war without their efforts.